I make every effort to provide top quality software and I take pride in my products and the benefits they provide my many valued customers. For this reason, I offer a 30-day money back guarantee. If for any reason you want your money back I will refund full product cost. Before you request for your money back we would like to help you solve any technical issues that might get in your way. If you experience a problem with the software, click here to contact our support team. Believe me, in most cases it’s just a problem with computer, VPS or Internet connection. 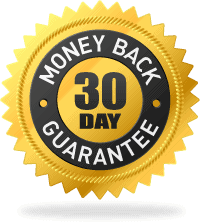 No returns can be issued 30 days after your purchase.